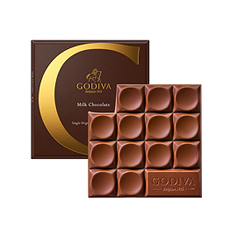 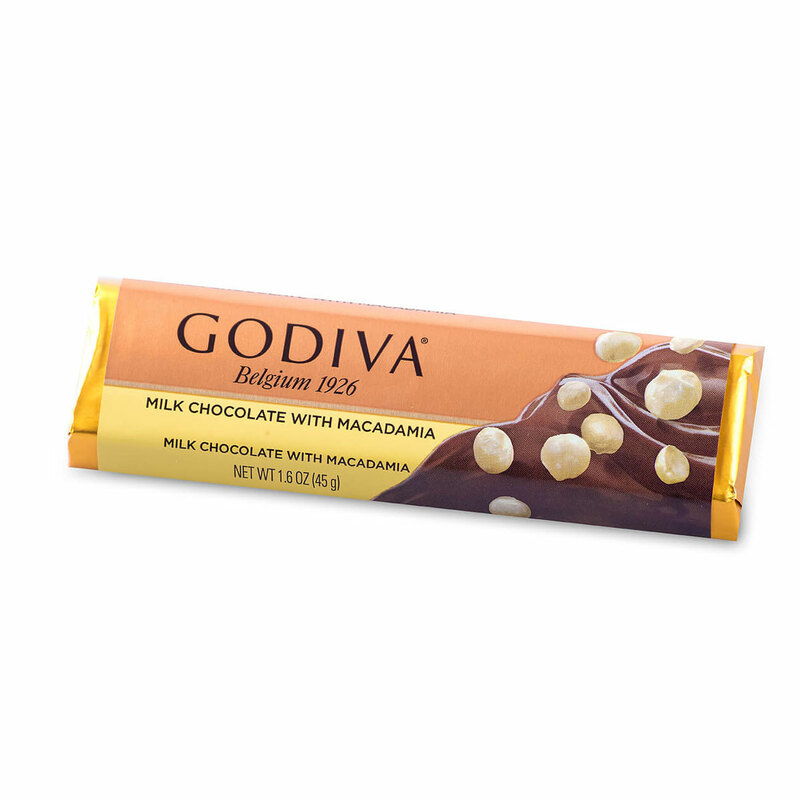 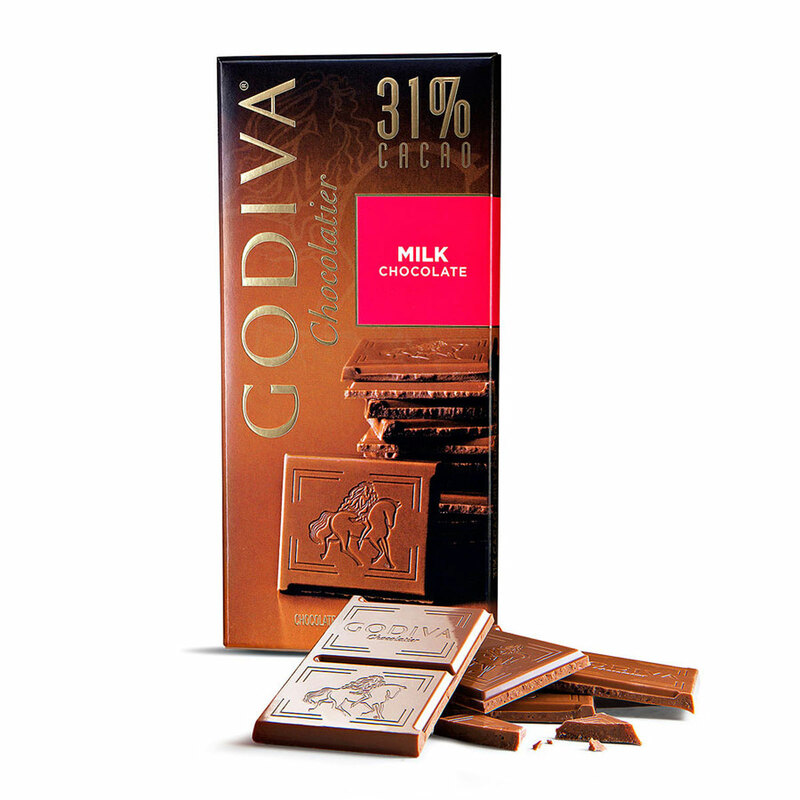 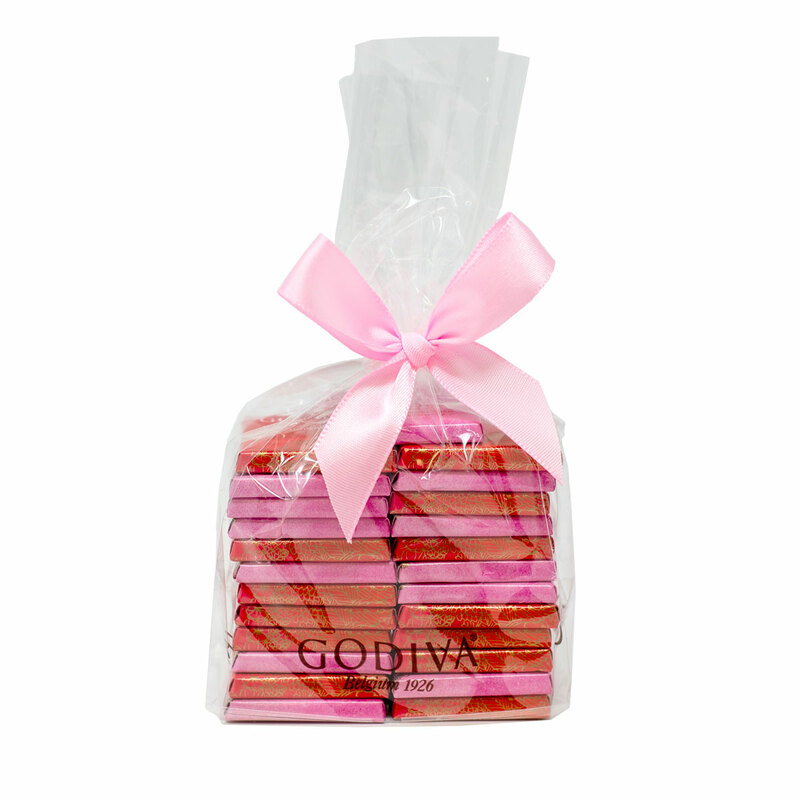 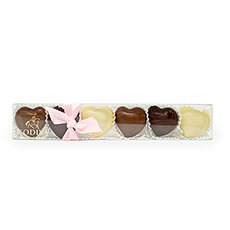 Give your heart on a platter with this lovely Godiva gift. A wonderful gift, given with love. 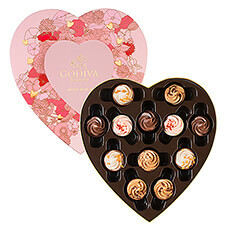 The "Godiva 2019 Love Gift Tray" offers a delicious selection of loving chocolates to win his or her heart. 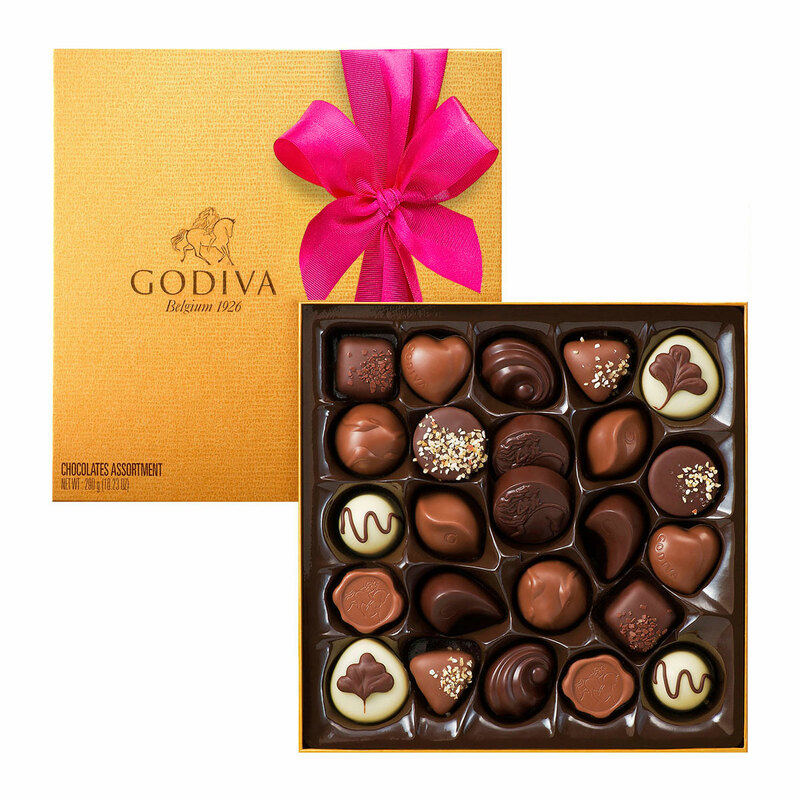 The Gold Rigid box with 24 irresistible Godiva pralines is romantically decorated with a floral motif and gold accents. 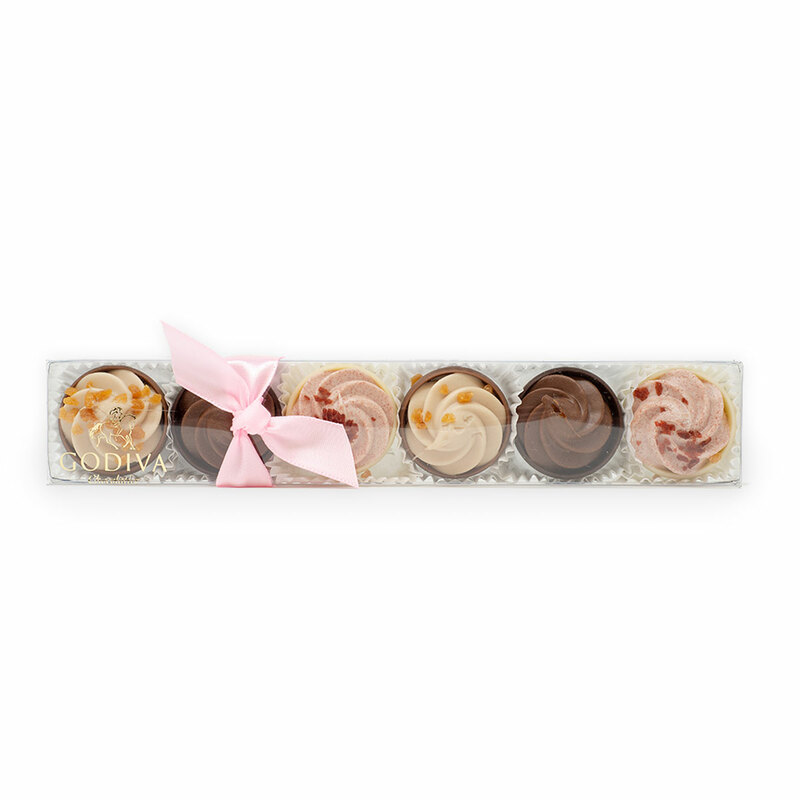 Discover the delicious limited-edition cupcake pralines with flavors such as hazelnut praliné, chocolate mousse, strawberry, speculoos, and coffee & caramel. 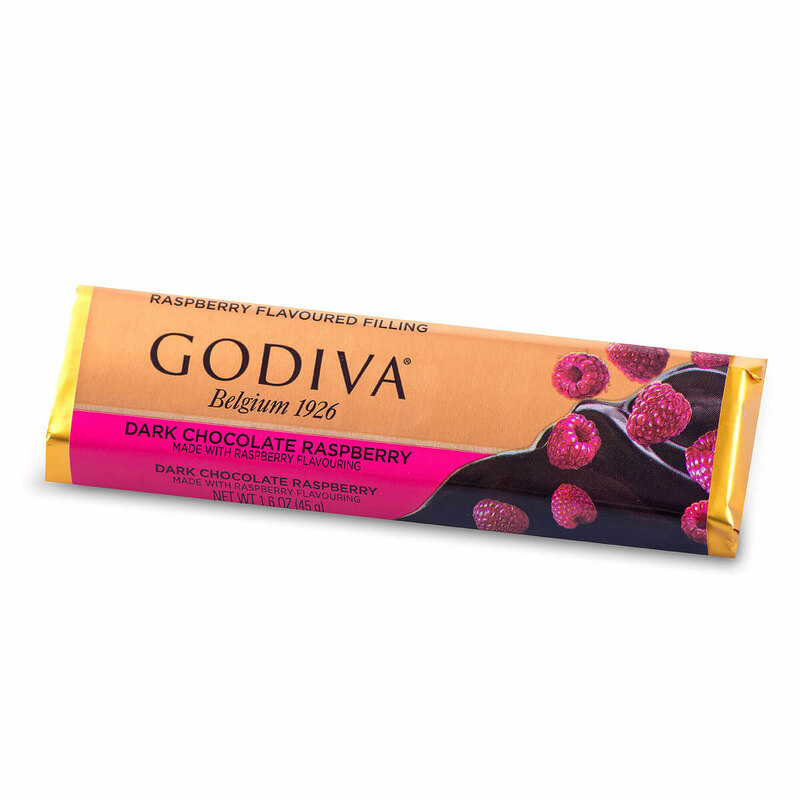 Pure delight with every bite. 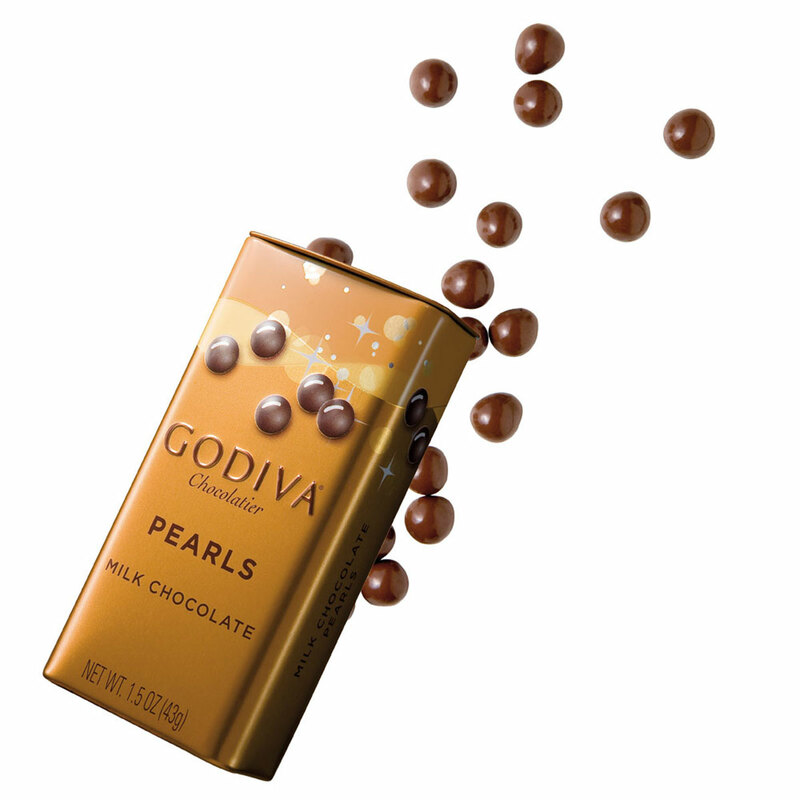 Your loved ones will enjoy the limited-edition Valentine carrés, chocolate tablets and bars, and the all-time favorite chocolate pearls from Godiva. 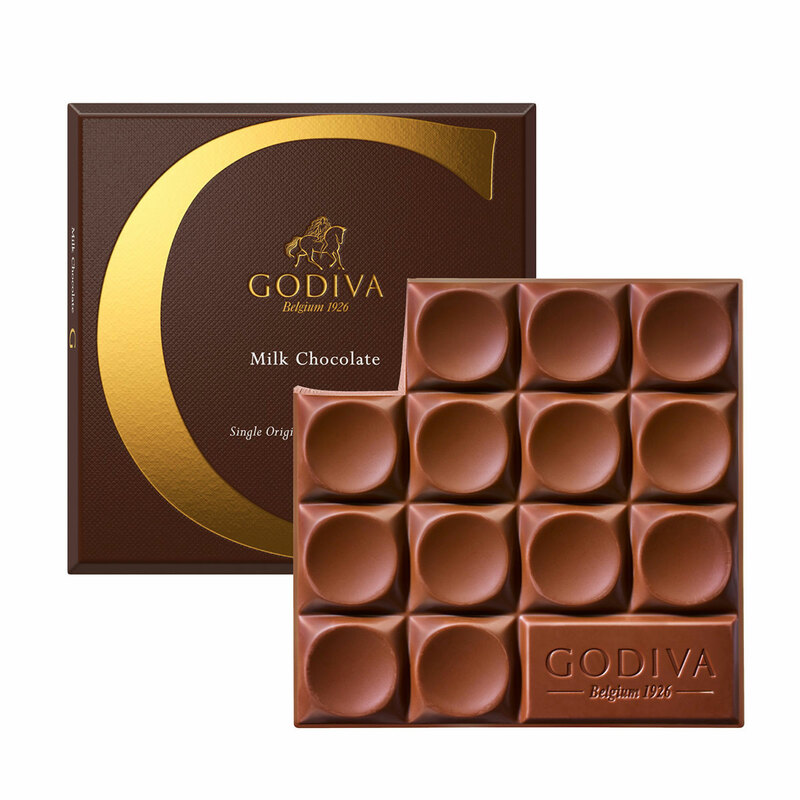 Ingredients: Sugar, cocoa mass, full cream milk powder, cocoa butter, hazelnut, cream, glucose syrup, humectant (sorbitol), invert sugar syrup, almonds, butter, butter oil, vegetable oil (palm, palm kernel, sunflower, rapeseed), sweetened condensed milk, skimmed milk powder, macadamia nuts, milk, wheat flour, full cream milk, hydrogenated vegetable oil (palm kernel), emulsifier (soy lecithin), flavourings, passion fruit juice concentrate, coffee, fat reduced cocoa powder, honey, salt, maltodextrin, cocoa powder, milk sugar, milk protein, barley malt flour, whey powder, lemon peel, natural vanilla, acidity regulator (citric acid). 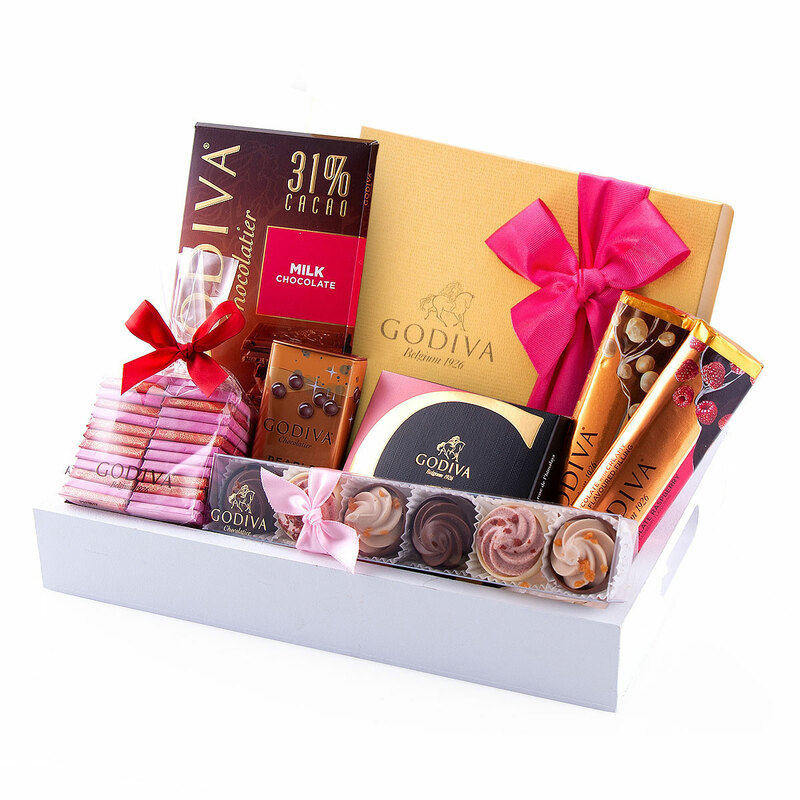 CHOCOLATE ASSORTMENT - INGREDIENTS: sugar, cocoa butter, whole milk powder, vegetable oil (palm kemel, palm, sunflower, mee, cocoa mass, hazelnuts, almonds, glucose syrup, humectants (glycerol, sorbitol), wheat flour, butter oil, strawberry, cream, maltodextrin, strawberry juice concentrate, emulsifier (soy lecithin), sweetened condensed milk, butter, skimmed milk powder, Nn fat (coconut), nuli, favourings, invert a coffee, cinnamon, salt, invert sugar syrup, maize starch, fat reduced cocoa powder, natural vanilla. 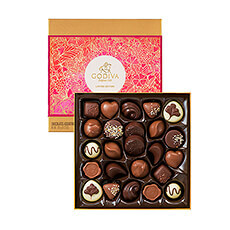 AE other nuts.